The next two decades will see massive, transformational investments in energy infrastructure around the world as populations grow, cities expand and ageing assets get replaced as they come to their end of life. 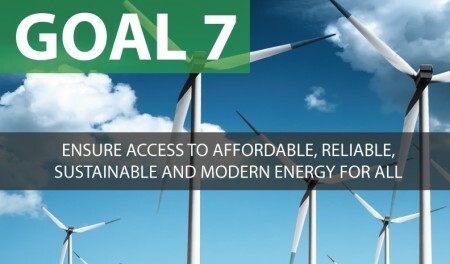 The universal nature of the challenge of SDG number 7: Ensure access to affordable, reliable and sustainable energy for all means that both the developed and developing parts of the world will be faced with big decisions about how to best provide sustainable solutions to meet society’s energy needs. Much of that debate is already taking take place, largely linked to concerns around climate change (which is the focus of another SDG in its own right). But if we focus for a moment on the challenge of simply providing access to modern forms of energy for all, the biggest decisions and most far-reaching and dramatic developments in the energy landscape will undoubtedly occur in the developing world, particularly Sub-Saharan Africa. Here’s why. According to the latest International Energy Agency assessment, approximately 1.3 billion people currently have no access to electricity worldwide, 97% of who live in Sub-Saharan Africa and developing Asia. That’s a population four times the size of the population of the United States, more than twice the population of the European Union countries, and equivalent to the entire OECD combined. The lack of access to modern energy services is exceptionally stark in Sub-Saharan Africa, which has the world’s largest population without access to electricity (approximately 621 million people, followed closely by developing Asia), where the rates of urban and rural electrification (at 59 per cent and 16 per cent respectively) are the lowest on average in the world. By contrast Latin America has a 99% urban and 82% rural electrification rate, the Middle East – 98% and 78% – and developing Asia, 95% and 75%, respectively. Estimates suggest that while around 950 million people may gain access over the next few decades, demographic expansion will mean that an estimated 75 per cent of Sub-Saharan Africa’s population will be without power in 2040. That’s more people in Sub-Saharan Africa without access to electricity in 2040 than today – not a great prognosis for SDG 7. Standard Chartered’s commitment to finance more than USD5 billion in energy projects under the Power Africa Initiative, a five-year partnership between the United States, six African governments and the private sector, launched in 2013. The partnership represents a coordinated effort to build the regulatory, economic and policy foundation in order to double access to power in Sub-Saharan Africa. South African listed platinum producer, Anglo American Platinum’s recent launch of the world’s first platinum-using fuel cell mini-grid electrification field trial in Free State South Africa, in partnership with Canada-based Ballard Power Systems. SE4All – a global initiative launched by the UN in 2011 to drive the agenda forward – recently published a report entitled Scaling Up Finance for Sustainable Energy Investments, which was released at the Third International Conference on Financing for Development in Addis Ababa, Ethiopia. The report suggests that investment from both the public and private sectors will need to triple to more than $1 trillion per year to meet the goal of sustainable energy for all by 2030. 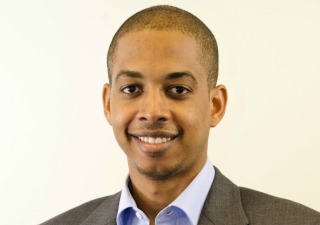 The African Development Bank has also separately estimated that funding of around $42 billion per year will be needed to meet Africa’s energy demand by 2040, including a tenfold increase in private investment over current levels. Clearly a step change in investment is required for the aspirations of SDG 7 to be anywhere close to being realised – especially in Sub-Saharan Africa. It’s also very clear that the private sector has an increasingly important role to play – providing not just the capital, but the ideas, and the entrepreneurial resources – to ensure that the goal of access to affordable, reliable and sustainable energy for all by 2030 doesn’t simply become a dream deferred. The $700 million, 310 MW Lake Turkana Wind Power project in Kenya, which broke ground recently and is equivalent to nearly 20 per cent of the country’s current installed electricity generating capacity, exemplifies the role the private sector can play in meeting Africa’s energy needs. Aligned with national priorities, funded by regional and international development banks, and developed by a local consortium of businesses – with reports that Google, whose African headquarters is being established in Nairobi, is also in negotiations to become an investor – this project will hopefully inspire a new wave of bankable and inventive energy projects designed to meet the region’s growing energy needs sustainably. If so, and if the inherent challenge of balancing the need for modern renewable energy sources with affordability and reliability can be overcome, the future will indeed be bright (and clean) for Sub-Saharan Africa.